Towngate Actor Spotlight: May Devine in "Jack and the Beanstalk"
One of most amazing things about community theater is the actors that give their talent and time so that we can be entertained, moved and inspired. At Towngate Theatre, we are lucky to have a large number of these talented people share their creative skills with us. Some are veterans who have honed their skills and bring a polished craft to their performances. Others are new to the stage, entering the realm of acting with a fresh face and vigor. Towngate Theatre: Tell us a little about yourself, May. May: I’m 10-years-old; I go to Woodsdale Elementary and I’m in the fifth grade. This is my first official play, but I’ve done a lot of the Towngate Theatre summer camp plays in the past. Towngate Theatre: Why did you decide to audition for your first regular season play at Towngate? May: My friends had been in plays before and said it was a lot of fun and I wanted to try it out to see what it would be like. Towngate Theatre: What has that experience been like? May: It’s really fun. I’ve got to meet a lot more new people that I had seen in other plays. It’s hard to find time to learn my lines, but I find it eventually. Getting the costume is always really fun because you get to try on a bunch of really cool stuff. I didn’t think it would take so much time out of my schedule, but it’s worth it. And they have candy on stage…so that’s nice! Towngate Theatre: What role are you playing? May: Annot, a villager. It’s not a big role, but since it’s my first part I’m learning how everything works to put on a play. 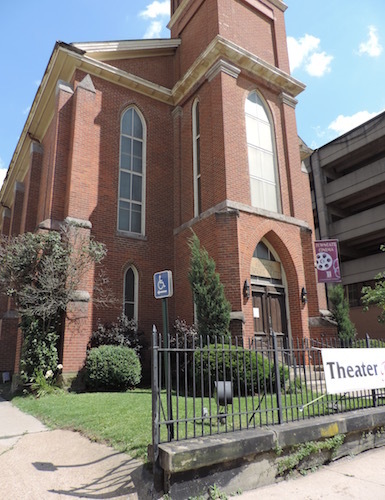 Towngate Theatre: What is your favorite part of the play? May: When the Giant yells, because it always startles us and it’s really funny! Towngate Theatre: What other activities or hobbies do you have? 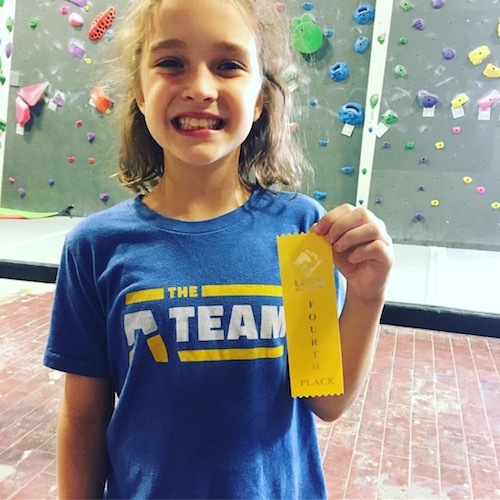 May: I rock climb. I play softball. I like to skateboard. But my main focus is climbing. Towngate Theatre: Wow! So you’re a climber like Jack! Tell us about that. 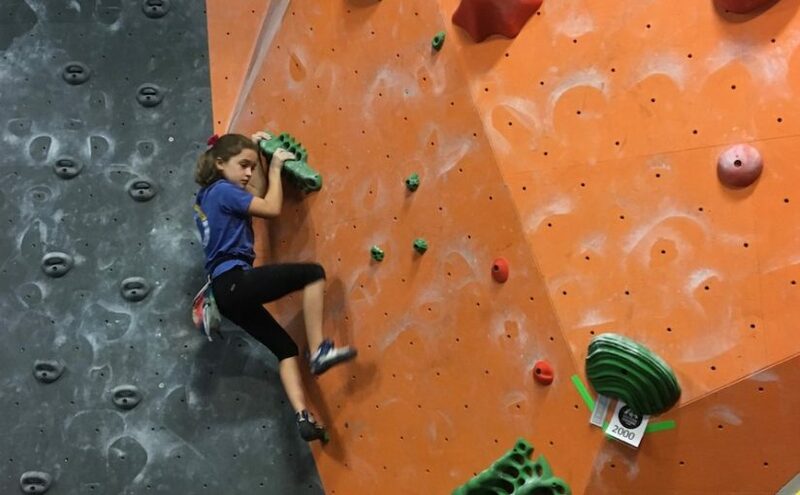 May: Climbing is really fun. I like going to competitions. I go to my climbing gym up in Pittsburgh twice a week. I’ve gained a lot of friends from climbing. It’s a really great sport because even if you’re against one of your friends, you can still cheer for them and help them figure out the route. Towngate Theatre: That sounds exciting! How would you say acting is different than climbing? Which takes more courage? May: They both take a lot of courage, but I think acting takes more. Because in climbing people usually aren’t watching you and if they are, I don’t feel like it’s stressful. But with acting you have to memorize your lines and make sure that everything you do has a purpose, while people are watching you. Towngate Theatre: What are you reading? May: I have three book series going right now. “Emily Windsnap,” the last book in “A Series of Unfortunate Events” and the second book in “The Darkest Minds.” There are a lot of other series I have in mind to read. Towngate Theatre: What would you tell kids who want to get involved in theater but are nervous? May: You should definitely try it. I thought that auditions would be scary at first, but then when I did it, it wasn’t scary at all. It was really fun. And just go for it. The more dramatic the better, don’t be embarrassed about it. May: It’s like the original but with more twists and humor. And the cast is great! A few more characters were added and you get to see all the details in the original story but in person. This adaptation tells the tale of how Jack’s mother instructs him to sell their cow, but he ends up with magic beans instead of money. Soon, a giant beanstalk grows and Jack finds himself in a magical land above the clouds. The show includes humor and adventure, colorful costumes, engaging characters and valuable moral lessons. Towngate’s production is directed by Dave Henderson. In addition to May, cast members include: Justin Swoyer, Mike Blanton, Maria McKelvey, Elizabeth Jeffers, Elaine Pusz, Alex Fabrizio, Shane Young, Jana Lu Schodzinski, Patricia Jeffers, Isaac Swoyer, Taylor Andrews, Abigia Smith, and Owen Dobrzynski. 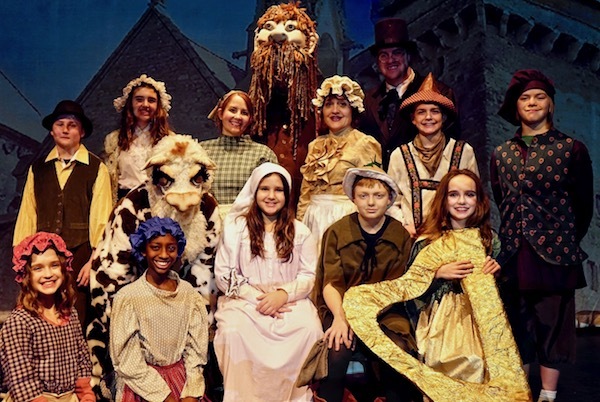 Performances of “Jack and the Beanstalk” take place February 1, 2 and 3 & February 8 & 9. Curtain is at 7pm Friday; 3pm Saturday and Sunday. Tickets are $12.50 ($11 OI members) for adults and $10 ($8.50 OI members) for children 10 & under. You can purchase tickets online in advance, by calling 304-242-7700 or at the door, if available. Don’t delay. Some shows will sell out.